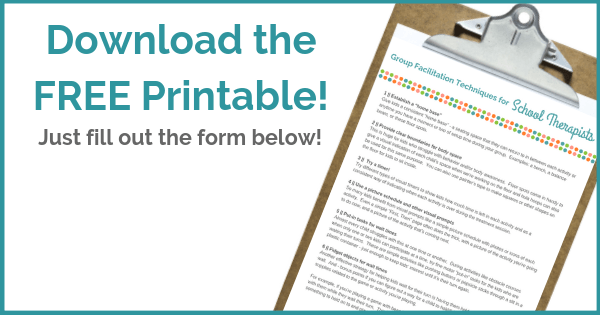 These tips and strategies for group facilitation will come in handy for any pediatric therapist who is working with groups of kids during treatment sessions. 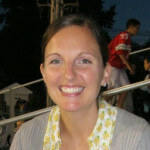 As a new school-based therapist, I had plenty of questions for my boss, other therapists, and the teachers I worked with. But I spent most of my time questioning myself. Was I writing good goals? Were my evals okay? Were my treatments effective? Would I ever feel confident and comfortable in this job? I felt like an imposter. And if there was one thing reaffirmed this feeling, it was group facilitation. Any time I scheduled myself to work with two or more kids at a time, they just ran circles around me and I finished the session feeling like a fool and a failure. I would plan the most perfect treatment session, only to have the whole thing go down the tubes when kids would stop listening and start misbehaving. 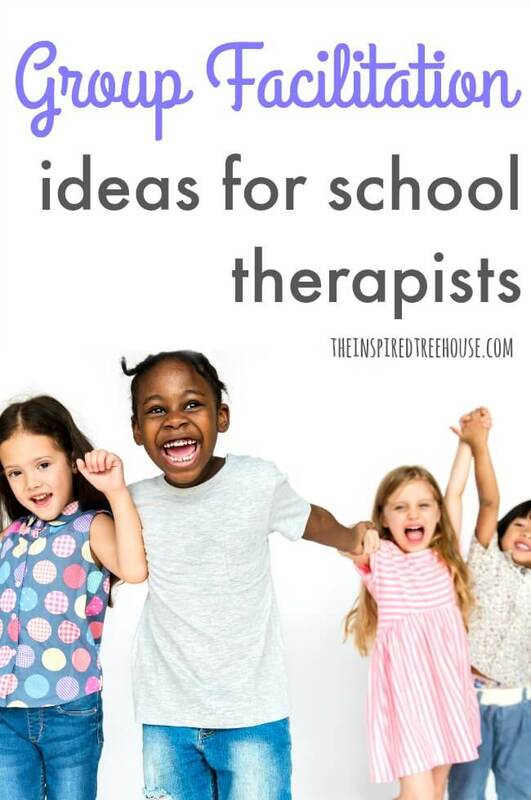 So, throughout our years as school-based therapists, and now that we’re running groups all day every day at The Treehouse, we’ve come up with a handful of tried-and-true group facilitation tricks and tips that have helped me feel way more confident and in control when I’m running a therapy group or a play group at The Treehouse. I’ve found that it really helps to give kids a consistent “home base” – a seating space that they can return to in between each activity or anytime you have a moment or two of setup time during your group. We use: a bench, a balance beam , or these floor spots . This is huge for kids who struggle with behavior and/or body awareness. Again, our floor spots come in handy to give a visual indication of each child’s space when we’re working on the floor and we also use hula hoops for this same purpose. You can also use painter’s tape to make squares or other shapes on the floor for kids to sit inside. 3 || Try a timer! We love using different types of visual timers to show kids how much time is left in each activity and as a consistent way of indicating when each activity is over during the treatment session or play group. We use this visual timer , or a simple kitchen timer , a bubble timer , or this great Children’s Countdown app that was suggested to us by a parent of one of our play group kiddos. We find that kids have particular difficulty with transitioning to the next task when the group is over (Good news, right? They love therapy so much they don’t want you to leave!). Timers are a great way to support that transition. So many kids benefit from visual prompts like a simple picture schedule with photos or icons of each activity. Even a simple “First, Then” page often does the trick, with a picture of the activity you’re going to do now, and a picture of the activity that’s coming next. No doubt about it…wait time stinks. Almost every child struggles with this at one time or another. 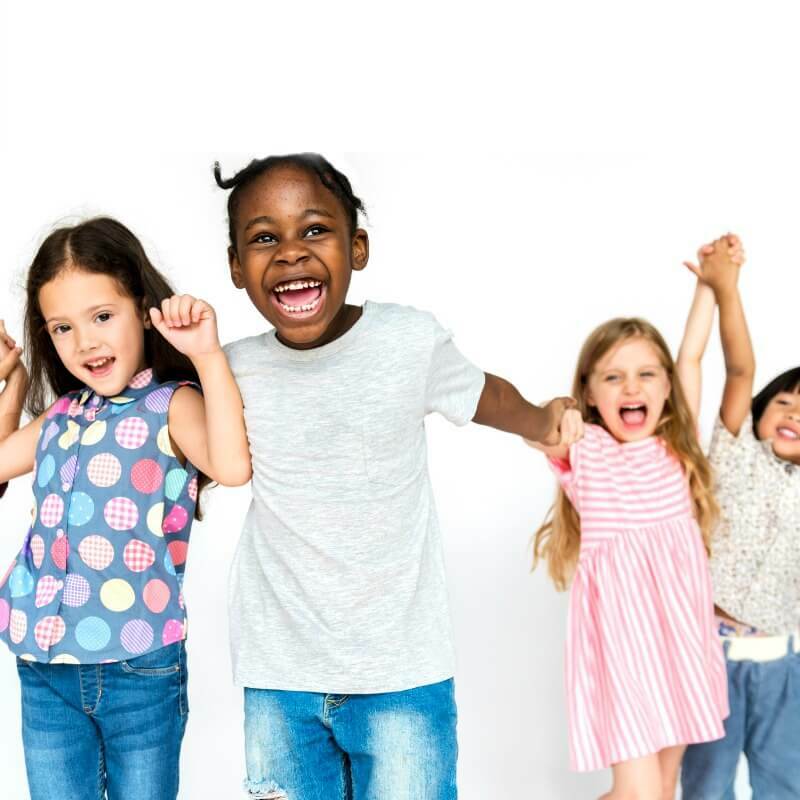 We have a couple of effective strategies we use during activities like obstacle courses where only one or two kids can participate at a time and the rest of the group has to wait. We often use fine motor “put-in” tasks for the kids who are waiting their turns. These are simple activities like pushing buttons or popsicle sticks through a slit in a plastic container – just enough to keep kids’ interest until it’s their turn again. Another effective strategy for helping kids wait for their turn is having them hold a fidget tool while they wait. And – bonus points if you can figure out a way for a child to hold/fidget with one of the objects or supplies related to the game or activity you’re playing. For example, if you’re playing a game with bean bags, allow the kids to take a bean bag to their seats with them while they wait their turn. This keeps them engaged in the activity but also gives them something to hold on to and play with. For some kids, it can help to stick to the same (or a similar) format for each group. For example, maybe you start each of your treatment groups with a song, then you read a movement story, and then you move to the table to do a craft. Try reviewing your group rules at the beginning of each group too! A consistent structure can help kids who need a more specific structure and who benefit from familiar routines. Social stories can be a great way for classroom staff and parents to help prepare kids who have a hard time participating (refusal, avoidance, temper tantrums, etc.) for an upcoming therapy group. Include wording about waiting for your turn, listening to directions, and what types of fine motor/gross motor activities you’ll do during the group. 9 || Get their attention! Therapy groups can get chaotic and loud. So try working with your group ahead of time to establish a consistent way to get everyone’s attention during the group. Yell out a word that indicates that everyone should FREEZE! Or try giving the group different instructions while you’re setting up for the next activity to keep little hands and bodies busy (e.g. Everyone tap your head! Everyone tap the table! Everyone rub your hands together!). These call and response ideas from Angela Watson are awesome too! Check out our DIY Calm Down Kit for ideas on what to include in yours! You’ll find great ideas like breathing techniques, put-in tasks, timers, and more! These great seating ideas for kids who can’t sit still are perfect for kids who are waiting their turn or for use during books and other seated activities. Use these great transition strategies to help kids move from one activity to another during therapy groups. 13 || Plan ahead…but be flexible! Having all of your materials prepared and set up ahead of time and having a general outline of how the group will go are the keys to a successful therapy group. BUT, never underestimate the power of flexibility! Some of our best and most effective group therapy sessions have happened when we’ve been willing to let go of our plan and let the kids take the lead! Our Body Bridges activity is the perfect example of this!